To read the articles, please register or log in! 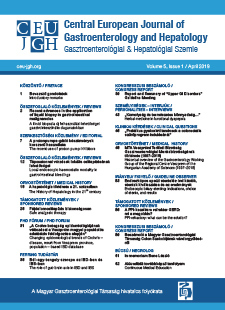 The Central European Journal of Gastroenterology and Hepatology is publishing reviews, literary analyses, original publications and case reports in English or Hungarian language. Besides official guidelines, interviews with leading gastroenterologists and society news and reports will appear in the Journal. Manuscripts should directly be sent per email to the publisher in doc., docx. format, pictures for publications should be added in jpg. format. The structure of a publication contains title page, summary (max. 500 characters), key words in English and in case if the publication is written in Hungarian, also in Hungarian, Further structuring is as usual: introduction, historical background, material and methods, results, discussion, references, tables, figures, pictures, acknowledgement, ethical disclosure. The size of the publication should not exceed 15000 characters for reviews and 8000 characters for case reports. References should appear in consecutive numbering, as they first appear in the publication, in the official form of Pub Med. The maximum number of references should not exceed 50, in special exceptions higher number of references may appear in the online version. We ask for listing all authors and the first and last page of the publication, the abbreviation âet al.â is not accepted. The style of Hungarian publications should be of high literary level, the authors should avoid extreme writing forms, for foreign words, nevertheless a single word should be consequently written in the same format within one publication. In English-language publications the authors should use a high level literary English, and ask for help of native English lector if necessary. The editors will consider the level and quality of English language. 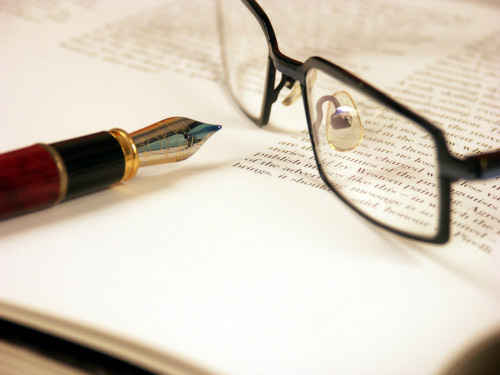 Invited publications will be reviewed by the responsible editors, otherwise all publications are subjects for peer review by two members of the editorial board, with subsequent decision of the Board. Any questions for further information should be directed to the publisher.